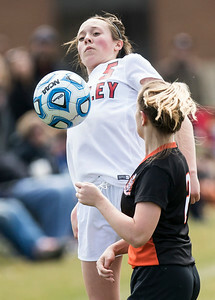 Sarah Nader - snader@shawmedia.com Huntley's Brenna Keegan kicks the ball towards the goal during Saturday's consolation match at Huntley High School against Harlem April 1, 2017. Huntley won, 3-0. Sarah Nader - snader@shawmedia.com Huntley's Hannah Scholer stops the ball during Saturday's consolation match at Huntley High School against Harlem April 1, 2017. Huntley won, 3-0. 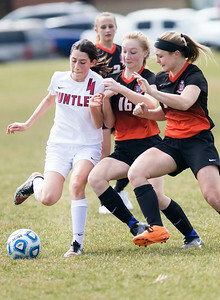 Sarah Nader - snader@shawmedia.com Huntley's Alyssa Xanos fends off Harlem players during Saturday's consolation match at Huntley High School April 1, 2017. 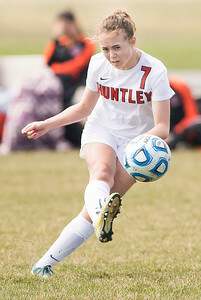 Huntley won, 3-0. 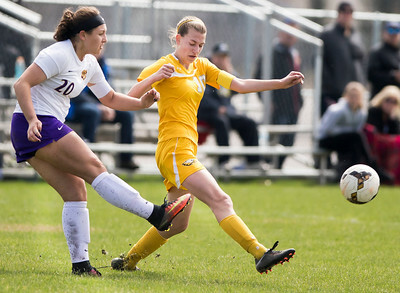 Sarah Nader - snader@shawmedia.com Jacobs' Karissa Gottardo kicks the ball down field during the first half of Saturday's consolation match at Huntley High School against Hononegah April 1, 2017. Jacobs won, 3-1. 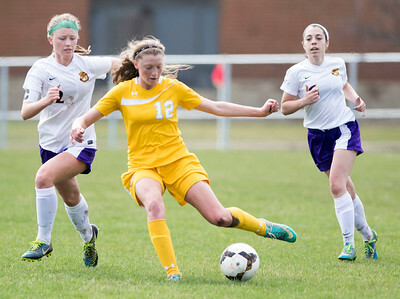 Sarah Nader - snader@shawmedia.com Jacobs' Hannah Mohan kicks the ball down field during the first half of Saturday's consolation match at Huntley High School against Hononegah April 1, 2017. Jacobs won, 3-1. 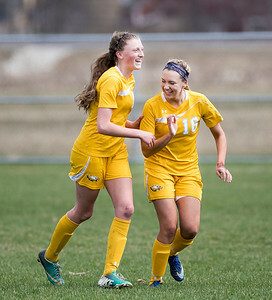 Sarah Nader - snader@shawmedia.com Jacobs' Hannah Mohan (left) and Caitlin Kowalski celebrates a goal Mohan scored during the first half of Saturday's consolation match at Huntley High School against Hononegah April 1, 2017. Jacobs won, 3-1. 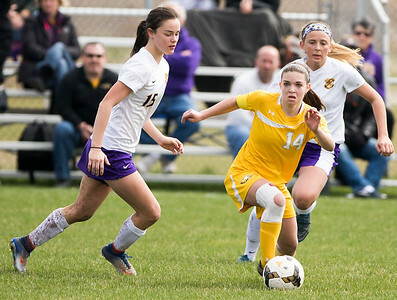 Sarah Nader - snader@shawmedia.com Jacobs' Madison Belo dribbles towards the goal during the first half of Saturday's consolation match at Huntley High School against Hononegah April 1, 2017. Jacobs won, 3-1. 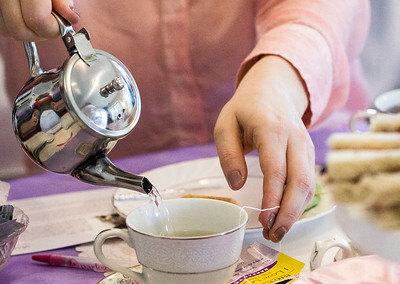 Sarah Nader - snader@shawmedia.com Tea is served to guests at the Mom and Me Mad Hatter Tea Party at the LaBahn Hain House in Lake in the Hills Saturday, April 1, 2017. Sarah Nader - snader@shawmedia.com Adriana Ciolacu, 5, of Lake in the Hills attends the Mom and Me Mad Hatter Tea Party with her mother at the LaBahn Hain House in Lake in the Hills Saturday, April 1, 2017. 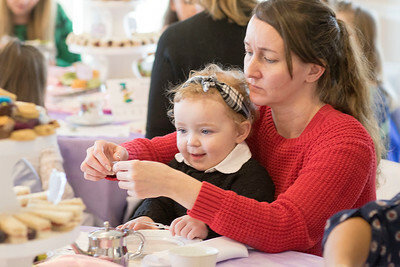 Sarah Nader - snader@shawmedia.com Avalon Salerno, 2, of Huntley attends the Mom and Me Mad Hatter Tea Party with her mother, Marnie Salerno, at the LaBahn Hain House in Lake in the Hills Saturday, April 1, 2017. 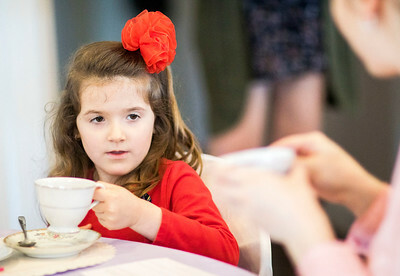 Avalon Salerno, 2, of Huntley attends the Mom and Me Mad Hatter Tea Party with her mother, Marnie Salerno, at the LaBahn Hain House in Lake in the Hills Saturday, April 1, 2017.